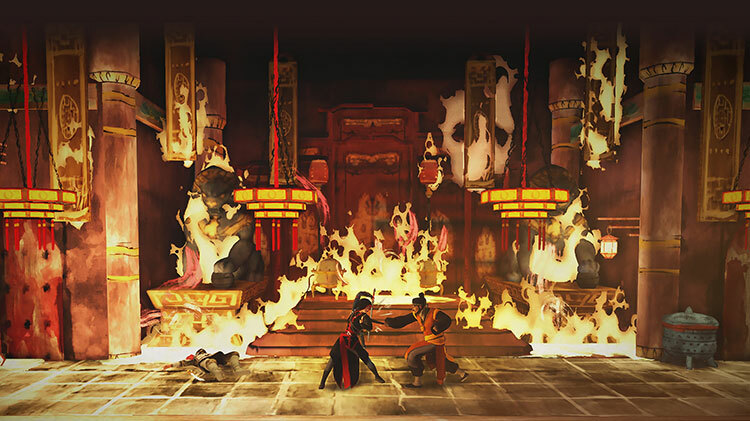 Assassin’s Creed Chronicles: China is a well paced adventure with a satisfying emphasis on environmental observation and forward planning. Retaining the flavor of core Assassin’s games without the stodginess and content padding that undermines them, China is – in my humble opinion, of course – a superior Assassin’s Creed production. It’s clear that China took the best bits of its larger siblings and added its own flavor – I feel the big budget work of Ubisoft Montpelier would be served well by returning the gesture. 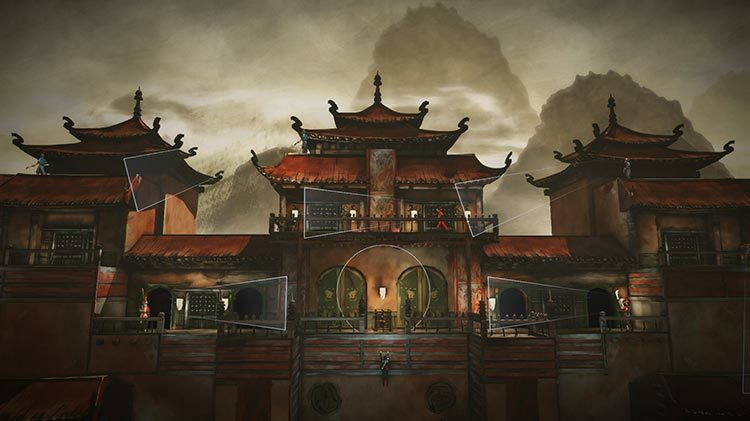 Chronicles: China is the smartest twist on the assassin's creed formula yet. These bad levels are only a fraction of the game — a few five-minute scenarios out of the five or six hours total that Assassin's Creed Chronicles: China offers. If you're willing to look past that, it twists the Assassin's Creed formula in one of the smartest ways I've seen since the franchise started. It's also almost certainly my favorite stand-alone game from the series in years. It's nice to take a break from the increasingly convoluted plot of the main storyline with a straightforward tale of revenge set in a historic corner of the world that often doesn't get a lot of attention in Western video games. This might not be the Assassin's Creed players asked for, but it's one that I'm thankful to have. Some unpleasant Assassin's hallmarks remain, sure. While controlling your athletic wet work artist is mostly free from hassle, movement always feels a tad smudgy. The series' reliance on drawn-out animations doesn't help. 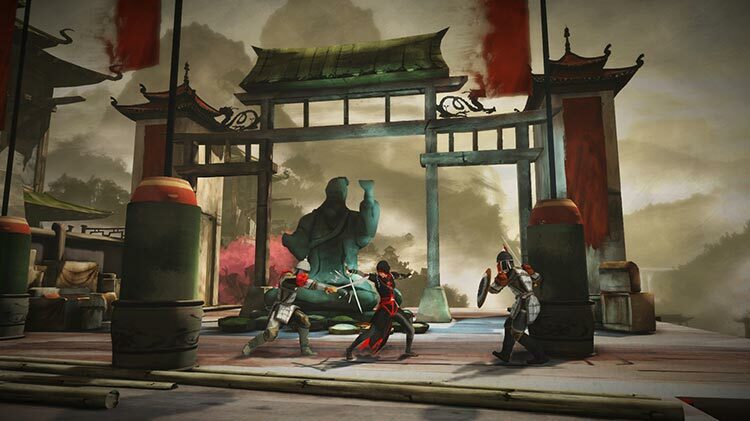 It's also hard to overlook the fact that almost every good idea Assassin's Creed Chronicles: China has is plundered from the more satisfying and stylish Mark of the Ninja. Still, when Shao gets her hooks into you, it's hard to resist. Here, with a simple tale set in China I was much more willing to play and invest in Jun’s struggle. Chronicles might be a little tame in places and lack enough variety to keep you interested for long, but it has a charm I feel the other Assassin’s Creed games now lack. If the other two Chronicles games can build on this start then Ubisoft and Climax Games could show that just as with Child of Light and Valiant Hearts it’s possible to make a smaller, superior experience. 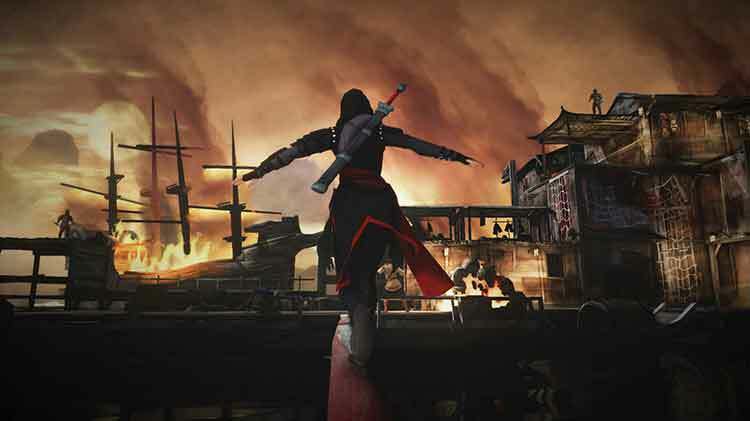 Assassins Creed Chronicles: China sees a massive departure from the core gameplay of the franchise, and while it is refreshing to see the game take some risks it never really finds its own identity. Controls lack precision. Unremarkable story. Seen it all before. 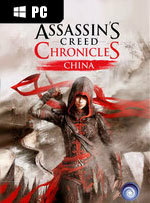 Chronicles: China es un muy interesante comienzo para este spin-off de Assassin’s Creed. Algunas partes funcionan mejor que otras, eso está claro, pero su inteligente uso de la perspectiva en 2,5D y su capacidad para adaptarse a diferentes perfiles de usuario le permiten ser atractivo para un espectro más amplio que el de únicamente ir destinado a los fans de la saga. Nuevos horizontes para la serie y un agradable y sencillo entretenimiento de acción y aventuras. 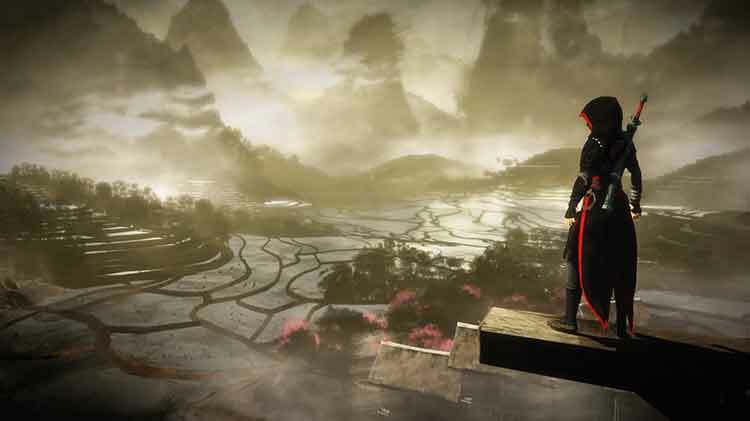 Assassin's Creed Chronicles: China es un spin-off interesante sin más, algo más cuidado que otros experimentos fallidos de la saga pero con una serie de elementos de vital importancia que no están al nivel. Las comparaciones con otros títulos del género son inevitables ‒la sombra de Mark of the Ninja es muy alargada‒ y ahí es donde sale perdiendo claramente; su desarrollo es bastante monótono aunque sí ofrece algunas secciones bastante divertidas y desafiantes. Ich bin ohnehin jemand, der in Spielen gerne heimlich vorgeht und möglichst im Verborgenen bleibt. Das verleiht mir ein überlegenes Gefühl, das wie schon im sehr ähnlich gestrickten Mark of the Ninja auch in Chronicles wunderbar rüberkommt. Außerdem ergibt sich durch die stetige Abwechslung ein fantastischer Spielfluss. Da verschmerze ich auch gern die banale Geschichte. Ungeduldige mit Hummeln im Hintern werden mit diesem gelungenen Stealth-Spin-off aber nicht glücklich. Das Ergebnis ist ein lineares und situativ häufig spannendes Action-Adventure, das einem die Wahl lässt, ob man den jeweiligen Abschnitt im Geheimen meuchelnd oder mit Hilfe direkter Konfrontation zu lösen versucht. Allerdings macht es sich mit einer für die Serie ungewöhnlichen schwachen Erzählung, einer blass bleibenden Hauptfigur sowie einigen unnötigen Trial-and-Error-Sequenzen das Leben schwer. Reprenant ce qui se fait de mieux dans le genre pour l'intégrer à un univers aux canons déjà éprouvés, Climax nous offre un mariage de raison, celui que personne n'avait osé faire mais qui semblait pourtant évident à réaliser. Le résultat est bon, mais n'atteint jamais des sommets d'excellence à cause d'une absence totale d'inventivité et de prise de risque. A réserver aux amateurs du genre qui, pour une poignée d'euros, trouveront de quoi travailler leurs réflexes d'Assassin pendant quelques heures. Les textures ne sont pas tout le temps archi détaillées et l'animation pas toujours au top, mais on note quand même un certain soin dans les décors. Le style aquarelle - qui rappelle l'encre de Chine - a vraiment du charme, alors que les couleurs qui versent dans le gris et le terne risquent de ne pas plaire à tout le monde. ACC: C yeni bir üçlemenin ilk oyunu. DLC olarak diğer oyunları alıp, Shao Jun'ın intikam hikayesini devam ettireceksiniz. Ezio'da yine arada gözüküp eski güzel günleri hatırlatacak bizlere. Mark of Ninja'nın daha az yetenekli bir kopyası olmasaydı ACC:C türe büyük yenilikler getirebilirdi. ...Oyun yapı ile görüntü olarak, konsollara ve PC’ye çıkacak bir yapımdan çok mobil cihazlara daha uygun duruyor. Açıkçası, aynı oyunu Ubisoft, PoP serisinde yaptığı gibi mobil cihazlara getirseydi yeni bir devir başlatabilirdi. För att nämna något annat positivt utöver detta, den historiska aspekten och bristen på Animus-babbel så är spelet rätt så snyggt att titta på tack vare sin oljemålningsbaserade stil och oerhört suggestiva mellansekvenser. Många av de senare skulle jag utan tvekan kunna skriva ut och ha som målningar på väggen vilket gör mig än mer förbaskad över vilken undermålig produkt Assassin's Creed Chronicles: China faktiskt är. 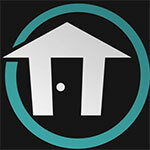 ...Spendera smart helt enkelt.